* High quality, competitive price.If you have any demand on them, contact us , and be pleasure welcome to your trial order. Packaging & Shipping: Instruction: It's Color for housing, labels and outside packings can be arranged according to detailed request from customers. From customers. The MOQ for each item is no less than 300PCS, but there are always some discount if the quanlity for single item is big enough. It is popular in the market and has good reputation for years. It can be sured that we have much advantages at this item in the line. Contact us if you need more details on Electric Angle Grinder. 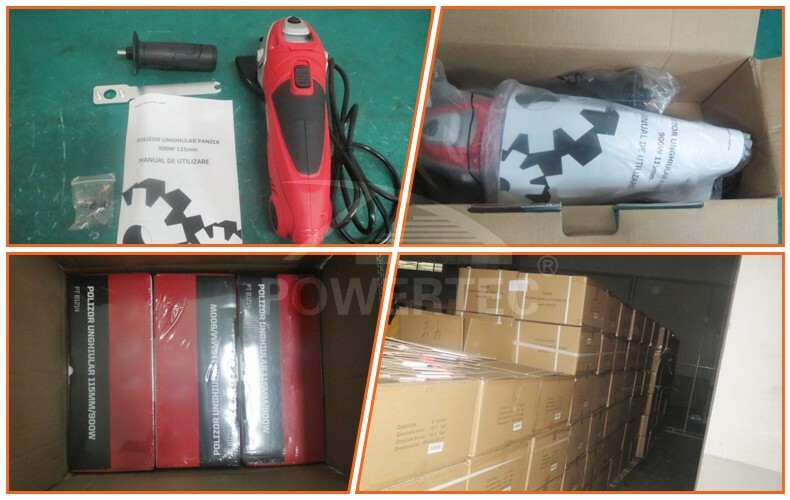 We are ready to answer your questions on packaging, logistics, certification or any other aspects about Grinder Tools、Angle Grinder. If these products fail to match your need, please contact us and we would like to provide relevant information.